Mostly sunny. High 83F. Winds E at 5 to 10 mph.. Mainly clear skies. Low 62F. Winds E at 5 to 10 mph. AVON PARK — An Avon Park woman allegedly stole a wallet that was left at Avon Park City Hall, and the incident was captured on surveillance video, according to the arrest report. 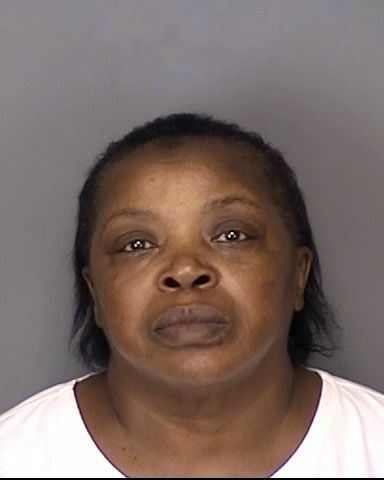 Brenda Lee Hilton, 61, of Avon Park, was charged with grand theft, less than $5,000. On June 29, the victim left his wallet, which he reported contained $2,500 in cash, at the teller counter in City Hall when he paid his water bill, the report stated. The victim claimed that his wallet and contents were valued at $2,536. According to the arrest report, on July 2, a detective obtained the surveillance video from inside City Hall and reviewed it. The video showed that the victim did leave his wallet on the counter. The defendant was shown on the surveillance camera standing in line inside City Hall and picking up the wallet, the report stated. Later on July 2, the detective made contact with Hilton at her residence, and he showed the video to Hilton, the report stated. Hilton allegedly confirmed that it was her in the surveillance video, but she denied taking the wallet. According to the report, on July 3, the detective made contact with the victim at his residence, and the victim stated that no one had permission to possess his property.